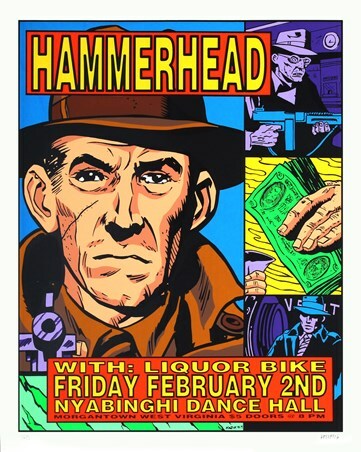 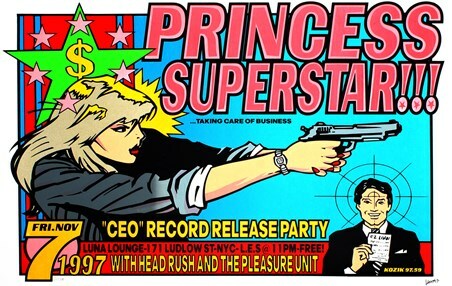 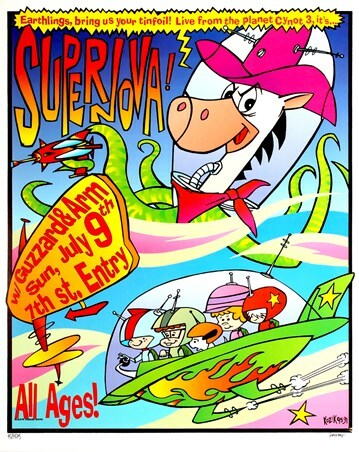 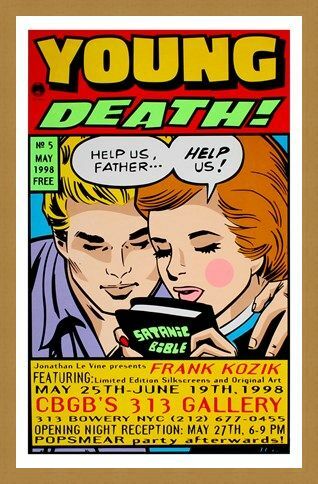 Graphic Art Print: Frank Kozik is a legendary graphic artist who has worked with Nirvana, Pearl Jam and The Red Hot Chili Peppers to list but a few. 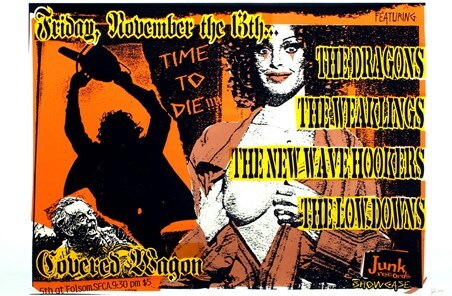 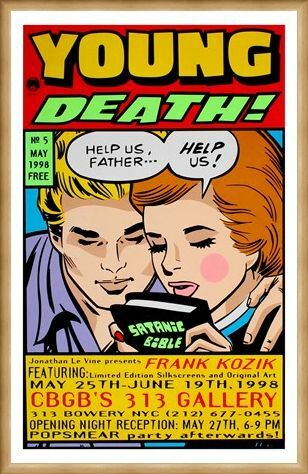 His captivating and amazingly eye catching posters are much more than a piece of advertising; they are a work of art that celebrates his fantastic vision and flare. 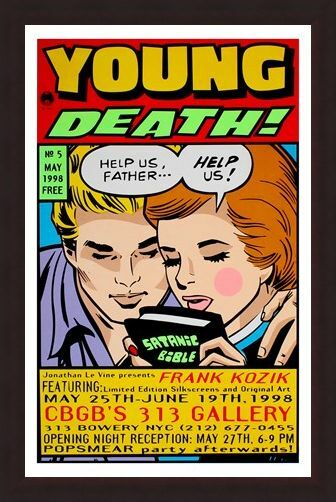 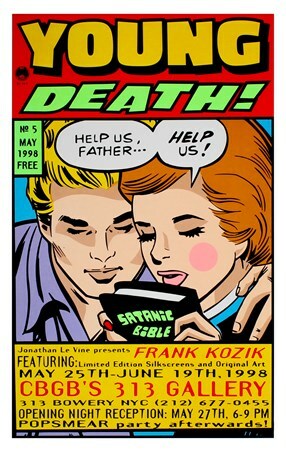 The limited edition print is promoting the Young Death exhibition at CBGB's in New York City and is host to an amusing pop art style piece; the worried couple are praying for help as they hold a Satanic Bible which perfectly illustrates the brilliant imagination of Kozik. This rare print has been signed and numbered by the artist himself and is a wonderful piece of collectable art that will add some truly original artistic flare to any room! High quality, framed Young Death!, Frank Kozik limited edition print with a bespoke frame by our custom framing service.